BH Tank has the capability to design, engineer, manufacture, and installs water tanks, chemical tanks and waste-water tanks. 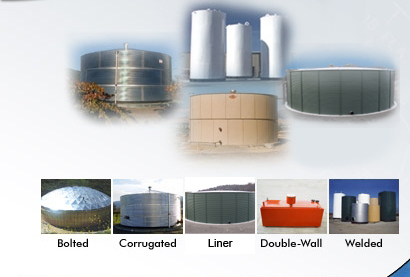 Epoxy coated tanks and stainless steel welded pressure vessels are designed for potable water tank storage, recycled water, wastewater processing, ammonia diffusion and other industrial water processing applications. Our welded tanks meet AWWA D-100, UL 142, API-650, NFPA-22 standards and are NSF-61 approved. If you have any questions regarding water tanks or chemicals tanks, please contact us at 1-800-464-2951.